Oh man. I hope the GT3 doesnt go in that direction. Not a huge fan of how it looks. Not sure if i would buy a regular 911 if it comes out like that. That cup holder is atrocious. I'm Not a fan of what I see in those pics. The center console seems to have double tiers with that ledge separating the screen and the switches. The concave area around cup holder will absolutely collect spilled coffee/dust/coins.. The 911 signia in that area is unnecessary and out of touch with Porsche pedigree. The 911 needs no badges in the cabin other than the crest on the steering wheel and maybe head rests in my opinion. Not a fan of what looks like toggle switch gimmickry that everyone seems to be trying to implement these days ala Aventador. Not a hater. I am a sincere 911 fan. Just concerned. I'm apprehensive about the future of the 911 in general with technological trends these days seeming to transition towards an electrical and software revolution. How will the driving experience change? Hopefully they are leaking these to get some feedback. 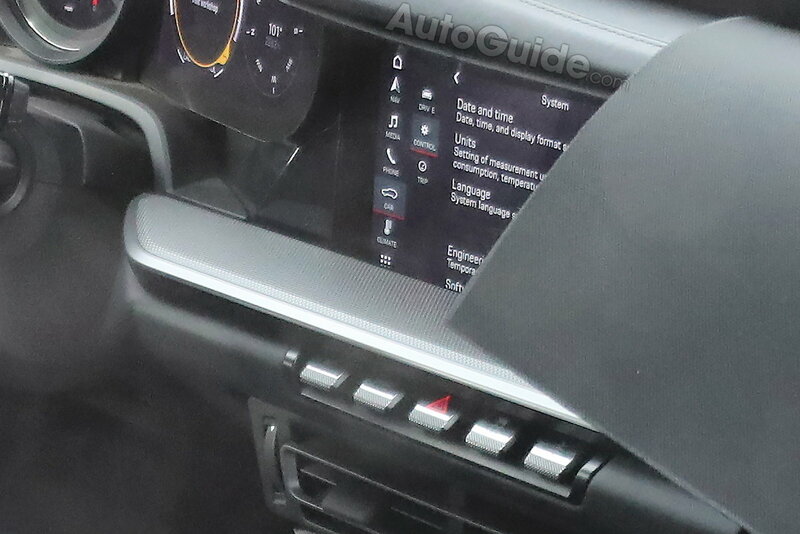 I know journalists have criticized the sea-of-identical-sized-buttons look started with the first Panamera, but going with fake toggles...especially coming from different angles in different shapes/colors/textures...is certainly not the answer. And IMO they seem to be carrying over the worst ergonomic aspect of the 991...climate controls pointing at the sky. The shelf is reminiscent of something from a mainstream Japanese crossover. My Raptor has the same auxiliary switches.